I took June for a stroll through the bushland this afternoon - the bushland flowers are at their peak - there were so many flowers to look at it took hours for us to get around the 1.5km route. 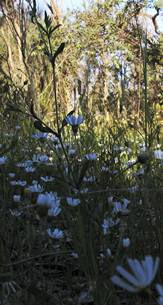 The local everlastings (Podolepis gracilis) are particularly abundant this year, and visible almost everywhere in the bushland. The scented sun orchid (Thalymitra macrophylla) has eventually emerged after weeks of cloudy weather. 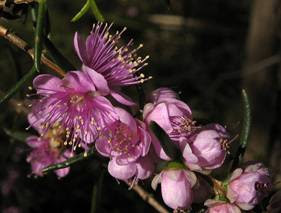 Swan River Myrtle (Hypocalymma robustum) is a delight to the eye.